Lifelong politico and respected pundit Steve Richards has returned to Edinburgh with a second outing of his Rock ‘n’ Roll Politics. Here he talks with Dan Lentell about happenings at Holyrood and Westminster as well as the up and downs of the greasy pole climbers in both parliaments. 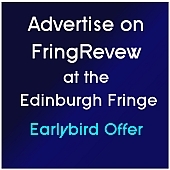 This entry was posted on Tuesday, August 20th, 2013 at 11:23 am and is filed under Audio Interviews, Edinburgh Festivals 2013, Edinburgh Fringe 2013. You can follow any responses to this entry through the RSS 2.0 feed. Both comments and pings are currently closed.